Scientific research shows how the emotional experiences of our ancestors are passed down to us through epigenetic markers in the brain. What does this mean? It means we have a predisposition to certain emotional expression and experience, our emotional inheritance, based on our ancestors’ experiences. For instance, if your grandmother was a real daredevil who took up flying lessons, traveled extensively, started her own business all before having three children. You may have inherited a tendency for adventure and not mind taking risks. If on the other hand, your grandfather was orphaned at a young age and grew up in foster care until 18 when he got out on his own and married 3 times with 9 children from three women, you may have some abandonment issues and a general lack of security even if you were never abandoned and were raised in a secure environment. Some of these emotionally traumatic legacies can feel heavy and burdensome. However, another field of scientific research is showing how Energy Medicine–under whose umbrella Quantum Alignment falls–is quite good at removing these energy signatures in the epigenetics and healing individuals of the effects of this ancestral legacy. I work with people every week who have experiences in their present that have roots in these ancestral patterns. These experiences can be confusing, for many of my clients have had no direct experience of the emotional trauma that they are reacting to in their behavior. For example, one client has a rather ruthless reaction to being even mildly betrayed. As I probed her for the origins of where this big reaction might come from we discovered that she never experienced anything in her life that might cause such a severe reaction. 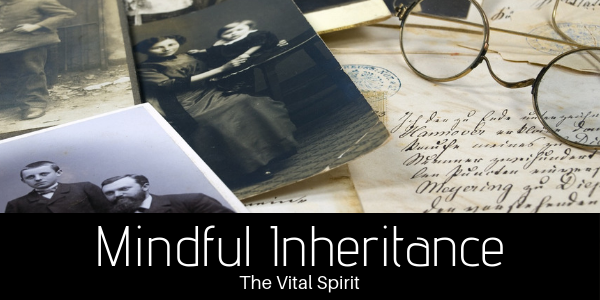 Through energy work, specifically ancestral medicine, we learned that this was an ancestral pattern passed down in her family over many generations through her father’s line. She exclaimed, “Oh yes, my father is exactly the same way.” Once we cleared this pattern, the knee-jerk tendency to react to a perceived betrayal was markedly diminished. She felt some of the same feelings but was able to control her emotions and choose whether the offense was worth ending a friendship over. Shamans, medicine men, and intuitive healers are guides who assist in moving energy within the physical body as well as the entire auric energy field. Illness, emotional trauma, behavioral patterns, and limiting beliefs are all energy patterns. Transform the energy and change your experience.